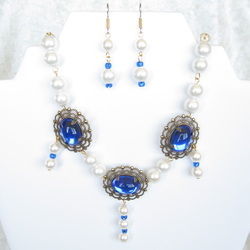 A lovely, simple necklace and earring set. 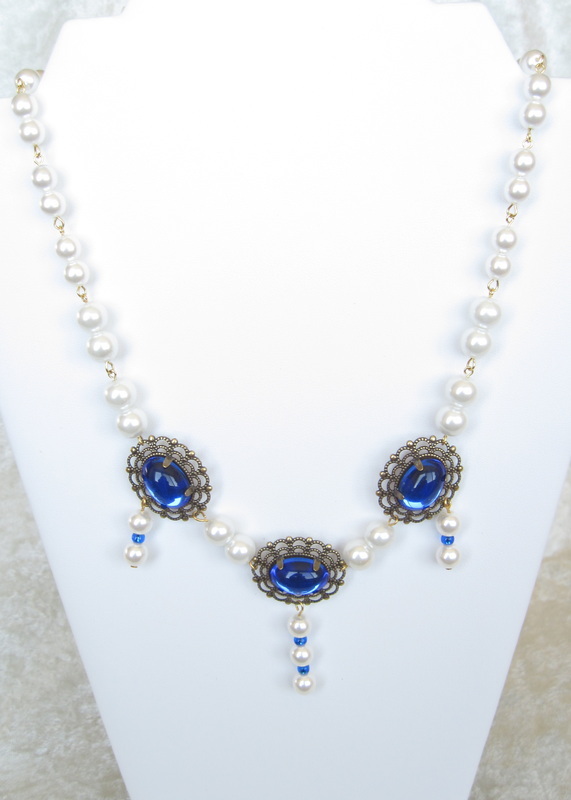 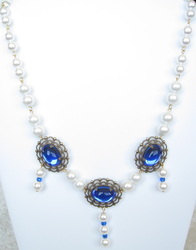 Hand-mounted white glass pearls accent the blue cabochons set in antiqued filigrees. Renaissance style fit for any princess! 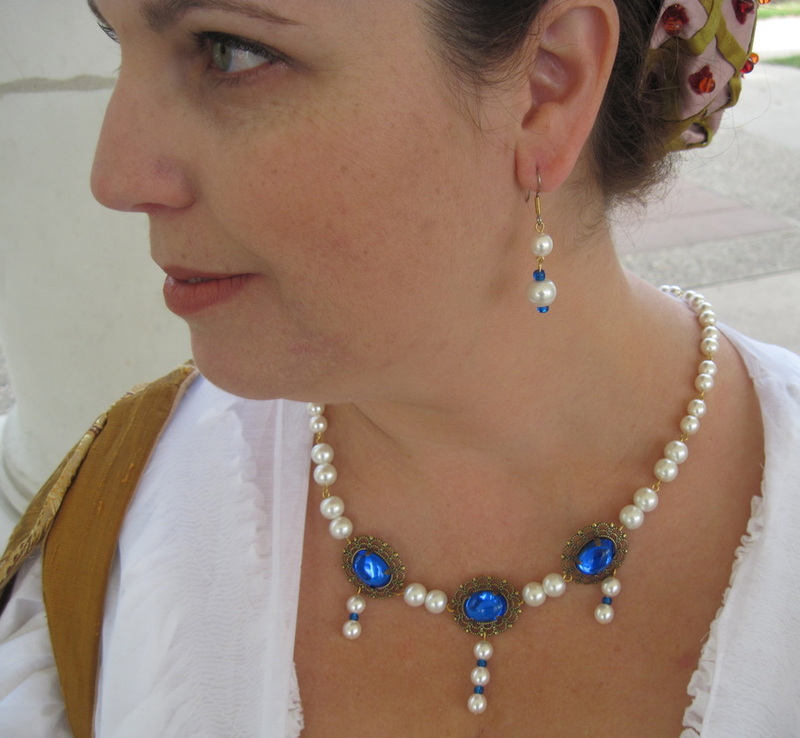 Perfect with your RenFaire garb, or to show your Ren spirit any time throughout the year! 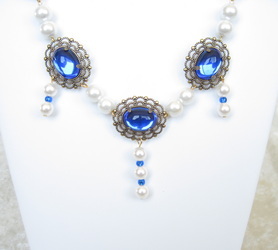 Necklace measures 24". The matching earrings dangle an inch below surgical steel french ear wires.